Effective January 1, 2019, seventeen states across the country raised their minimum wages. And while Hawaii’s isn’t set to increase this year, it’s important to make sure you’re up to date on regulations so you can stay compliant. Not only that, but as a business owner, you need to be aware of potential changes so you can plan for the future. To make sure you’re on top of the latest, here’s a rundown on the minimum wage requirements in the Aloha State. Hawaii’s minimum wage is $10.10 currently, which is $2.85 higher than the federal minimum wage of $7.25. The state minimum wage last changed in January 2018, when it increased by $0.85 from $9.25. This was the fourth and final rise in a series of gradual increases approved in 2014. Tipped employees. Employers can take a tip credit for employees who make at least $20 per month in tips. With a tip credit, they can pay a lower minimum cash wage of $9.35 per hour, and take a tip credit of up to $0.75 per hour toward the state minimum wage. However, employers may only take the maximum tip credit if their employees still make at least $7 per hour over the state minimum wage, or $17.10 ($10.10 + $7.00). This means employees must average a minimum of $7.75 per hour in tips in order for the employer to pay the minimum cash wage of $9.35 per hour. Full-time students, who can be paid 85 percent of the Hawaii minimum wage as long as they are registered students. As of now, there’s no definitive plan for a minimum wage increase in 2019. However, since the beginning of this year’s legislative session, lawmakers have discussed raising the minimum wage to $15. Governor David Ige recently stated that while he’s considering the increase to $15, officials need to weigh the needs of working people and the effect of the increase on small businesses. Not yet, but Hawaii’s minimum wage is a regular topic of conversation given the cost of living. Hawaii’s Department of Business and Economic Development (DBED) estimates the basic minimum living wage for a single person in Hawaii is approximately $17 per hour. 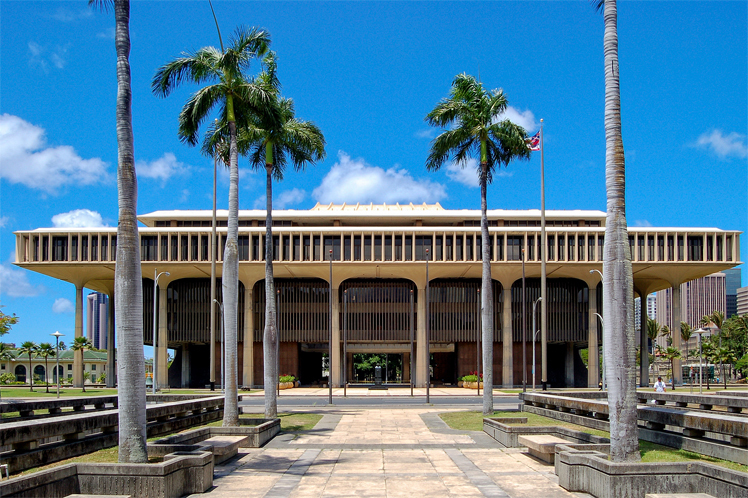 And during this year’s legislative session, the state legislature will be considering bills to gradually increase Hawaii’s minimum wage to the $17 per hour living wage threshold. Reevaluate your budget: Review your monthly sales and overhead costs to determine if you need to cut costs. Based on your monthly cash flow, decide if you need to make adjustments to your staffing plan. If you have a seasonal business, for example, it may be more cost-effective to hire contract employees instead of full-time staff. Make smart hires (and keep them): There’s no question the hiring process is expensive. To make sure you find the right employees the first time around, use best hiring practicesand ask smart interview questions. Once you hire employees, focus on retention and engagement. By doing this, you’re more likely to keep them around, which saves time and money. Upgrade your technology: Take advantage of available technology to save time and money. If you automate time-consuming tasks like payroll, you have more time to focus on your customers and growing your business. While these are helpful guidelines to follow, to make sure your business is prepared and stays in compliance, you should discuss Hawaii’s minimum wage laws with your accountant and lawyer.